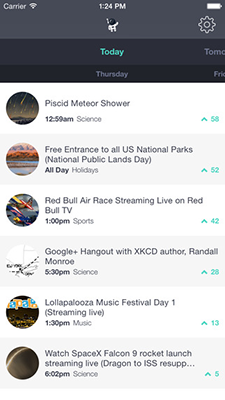 Forekast is a crowdsourced calendar that lets users discover and share information on the coolest, can’t-miss upcoming events. Community members can post and vote on the events, causing the best to rise to the top. 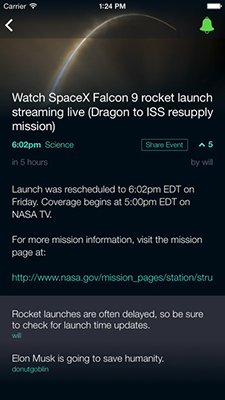 Users can also set reminders to make sure they catch the events they are most looking forward to. I’ve been building Forekast, together with a handful of people who are scattered around the world. All of us are working on it in our spare time as a passion project. Our resources are minimal, but we’re all excited about the project and bringing it to life. development options. But we quickly realized that we only had the resources to initially develop and support one platform. However, a member of the Forekast community, Matthew Congrove (ed. note: Matthew is a solutions architect here at Appcelerator) reached out and offered to help us build a mobile app for both iOS and Android, using Appcelerator. Better yet, he said it could be done in the same amount of time with the same resources we had initially allotted. Naturally, we loved the idea and decided to move forward. To get started, we decided to create a limited version of the mobile app so that people could, at the very least, easily browse events on their phones. 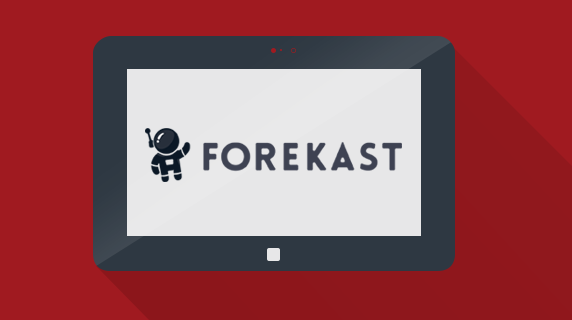 The first release of the Forekast app allowed only that; there was no support for user log-in, which meant that settings and event reminders were not yet available. We felt like this was a good start, but we didn’t want to waste our “coming-out party” on something that wasn’t fully baked. So we quietly released the app for both iOS and Android, without a single announcement—not even a Tweet. This gave users who really wanted a mobile app a way to get it. As it turns out, this group of users was much larger than we had originally expected. App download rates quickly approached our website sign-up rates. This is in spite of the fact that we never promoted the apps at all; our users simply sought them out. This really drove home for us the value of a Minimum Viable Product approach. Had we waited to release the app until it was “finished,” we would have missed out on a high number of app downloads, and, as you’ll read about in a minute, a large number of new users. While the mobile app was being developed, we were seeing encouraging sign-up rates for the website, especially when we were featured on Reddit or Product Hunt. When this happened, we were averaging an 8 percent sign-up rate. When we were featured on Reddit most recently, however, we were disappointed to find that, while the number of visitors to our site was higher than we’d ever experienced, the sign-up rate fell dramatically to 4 percent. Our initial assessment was that the demographic of Reddit users in that thread just didn’t align with what Forekast offers. a link to it. A few days later, when the statistics for the mobile app became available, we discovered that we had received a huge number of app downloads in the 24-hour period around the Reddit thread. Taking these app download stats into account, our sign-up rate increased from 4 percent to 12 percent, a 200 percent bump. After another analysis of the events, it also became clear that the Reddit demographic was far more interested in downloading the app than signing up through the website, proving that our iterative approach and ability to build an app quickly was a key decision. What really stood out to us was that, had we gone with our initial plan to only support iOS (due to time and resource considerations), we wouldn’t have captured all of those Android downloads. Android now accounts for 70 percent of our mobile downloads and 77 percent of app user activity. It also makes up 62% of social sharing for our apps, so this is clearly an audience we wouldn’t have wanted to miss out on. So what’s next? Well, we just gave Forekast a major overhaul under the hood, taking lessons learned so far and applying them to the site and the mobile apps. One of those lessons was that having a well-structured API is vital to any mobile plans, so we’re hard at work on that front. Both the website and mobile apps will run on this API with its next release. This will be beneficial for mobile, because it offers an optimized data set, and it will also enable us to support user accounts, event reminders and upvoting. While we have been happy with our results so far, we’re looking forward to continuing to iterate and add functionality.